Colton and Corey, my boyfriend at the time, met at Fort Drum. They quickly became close friends and shortly after Colton moved in. What I remember most was Colton's beautiful smile. It was infectious and I recall how I'd see it spread across his face as he'd watch Corey and I dance from across the room. Colton was an old soul. Humble, sweet, polite, he'd ask Corey's permission before asking me to dance. Colton was proud of his parents and siblings in a way I had never experienced before. He loved our country and was honored to defend it but mostly he dreamt of someday having a family, a beautiful wife, and a couple smiling kiddos. I have this 5 second video clip of Colton proudly dancing his mom across the floor and while the video is too dark to see, I promise you his beautiful smile shone brightly that night. He adored his mom and his entire family. He carried photos of them and the Daniels' family in his truck so they were always by his side. Corey and Colton bonded on a deep level. Shortly after Colton deployed for the last time he sent me a fb message "I get along with just about anybody, but I don't really count most people as friends, more like frequent aquaintances. Corey is an actual friend that I look forward to seeing again. That was a little gay, but whatever, haha." In the year or so Colton lived with Corey he became much more than our friend. He became family. He didn't say much about his struggles but we knew of his pain. Colton was proud to be in the Calvary but he was suffering from PTSD and he recognized he needed time to heal before he redeployed. His request was denied. The months before deployment Colton would listen to music all night. Ryan Bingham was among his favorites and especially seemed to ease his pain. I worried about Colton going overseas but to my surprise he seemed ok while he was gone. 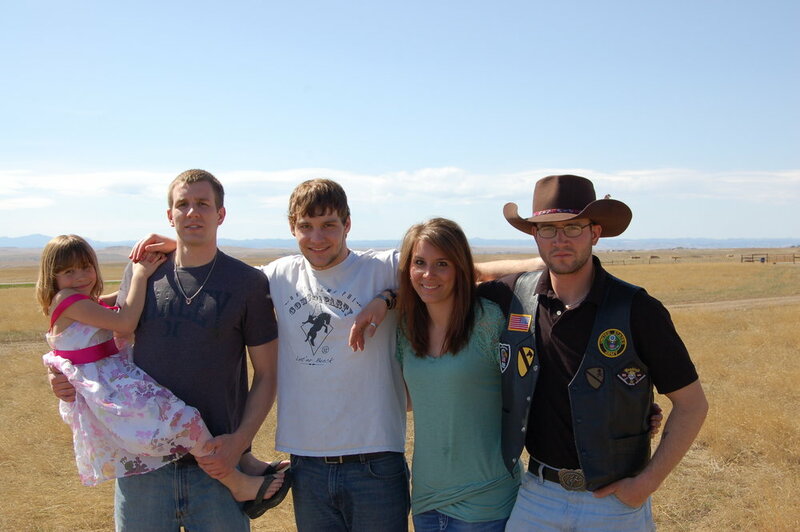 Colton came home the following spring and went to South Dakota to be with his family. Corey came home several weeks later. We were all excited to see one another but I was worried about Colton. He didn't seem well again. When he took his fb page down I became concerned that he might be withdrawing but he said he was ok. The day before we met up I texted him to see how he was doing. I let him know I was worried about him and I told him when we'd be coming home. He responded briefly and let me know that he planned to start a fire the following night to warm the house for when we arrived. The next day I picked Corey up from the airport and we began the long drive home. We were both excited as it had been more than a year since we'd been to the house together. Corey had survived his third and final deployment and he was ready for something different in his life. He had this giant smile accross his face and a look of freedom in his eyes. He truly seemed happy but as we pulled into the driveway and the car lights shown on the giant "Welcome Home" banner I had hung over the garage a few weeks prior, I had this overwhelming premonition that Colton's life had ended and ours was about to change forever. I dont know how I knew, but I knew that when we walked inside we would find Colton dead. There was honor in the way Colton lived but there was no glory in the way he died. Almost 5 years have passed since the night we found him but I still can't bring myself to write about what happened after we walked in the house. Statistically at least 6 people are directly affected by each person who completes suicide. These are your kids, your spouse, your family, your friends. Each of us who tells Colton's story has been affected in a way that none of us would wish on anyone. The most important thing I can tell you is Suicide is 100% Preventable. You don't have to kill yourself. You don't have to suffer in silence. You don't have to put your loved ones through this. You just have to pick up the phone and be willing to accept help. I'm not suggesting it's easy. It's going to be hard but I promise you that getting help is better than whay you've been living through and its better than the alternative. There is hope. The Sgt. Colton Levi Derr Foundation has one mission, to help ensure that other soldier's stories don't end the way Colton's did. Please pick up the phone and call and they'll help you get through the rest. It's never too late. Colton’s thoughts were racing through his mind at about the same pace as the hemi motor that thrusted his truck over the next horizon. He had just returned from his final combat mission and was making plans to transition back to a civilian life. A true warrior; he was returning to a civilian society in which many have lost the concept of code, ethos and brotherhood. The journey home would prove to be fatal. I worried about Colton’s ability to adjust fire. Colton was a leader who always focused on taking care of his men and the mission. The battlefield does not allow for much insight into your internal struggles. This reality was evidenced by the fact that Colton’s suicide sent shockwaves through his military brothers. They didn’t see it coming. Colton kept his feelings in check; he was not one for sharing his woes with others. After all, he was the oldest sibling in his family and they looked up to him. He was a brother to many and a friend who never failed the ones he cared about. Steadfast in commitment and honor; his soul was kind and true. What would be Colton’s trigger point that sent him down a path of no return? What could cause this young man to decide that death was the only way to end his pain? He had plans, he had opportunities…but moreover, he was loved. It was tough for a man who was so prideful, strong and accustomed to conquering all comers and all things in life. 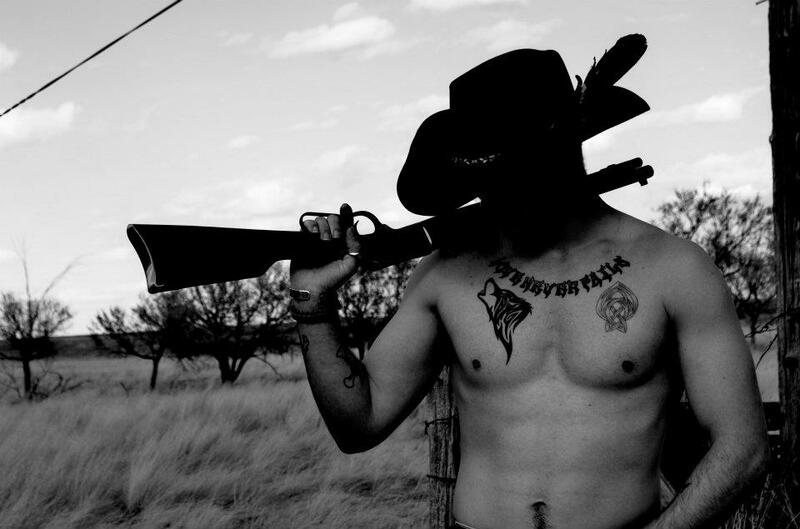 A champion wrestler, a cowboy and steely eyed soldier….what could bring him down? After all, his fellow soldiers nicknamed him ‘Delta Derr’. Colton broke his constrained silence. “Dad, I don't know why I feel the way I do, I’m trying to control it - but I’m having a hard time.” His head down, his strong hand firmly grasping the back of his neck; we were ready for the heart to heart talk. I was relentless in just being near him until he tapped out, until he opened up. As a father, more than anything in life, you want to protect your children. I was fortunate that Colton would confide in me about his demons and internal battles. We made a plan: when he got back to Fort Drum, he would deal (treatment) with his PTSD and suffocating depression. Colton was a wanderlust who loved the open road and the opportunities he may find over the next horizon. He was gathering his gear, as this part of his “coming home” journey was coming to an end. Before making his drive back to Fort Drum; he was getting ready to make his trek to Texas to see his 1st CAV brothers at Fort Hood. Colton was saying all the right things about future plans after the military. During his Texas trip he was going to look for land to buy - land to raise his own horses on. He intended to enroll in college down there and finish out his criminal justice degree. He had even reached out to his younger brother Wyatt; in hopes that he would join him on his new adventure. So, why was I still uneasy and restless when he left home on that warm evening of 12 APR 2012? After all, we made a pact to beat this demon. This is the last picture I took of Colton. I held him and did not want to let him go. I kissed him, told him I loved him and said goodbye. April 8, 2012 was a warm spring Easter day. Haley, Wyatt and Josephine made the trip home from college; little sister Audra (the surprise child) was ready to have her older siblings back under one roof. Colton was safely home from his final mission to Afghanistan; our prayers had been answered. Although, just twenty short sunsets from this day would find Colton dead by suicide. Safe has many meanings and proved to be as fleeting as Colton’s life. This is the last picture I have with all of my children together. Colton had been home for less than a week and I could sense the effects of PTSD beginning to tug at his soul. He was tense on this particular day. I held the camera waiting for his wry grin to come out…but I could see he was struggling. Colton wanted to deploy. It may be hard for some to comprehend, but I knew he would be entirely men and mission focused while he was in the battlefield. Coming home proved to be more menacing than the Taliban. 4.28.16: On this spring day in 2012, Sergeant Colton Levi Derr committed suicide. Today, an estimated 22+ veterans will follow Colton’s path and die by their own hands. Colton suffered with Post Traumatic Stress Disorder (PTSD) following his combat tours in Iraq and Afghanistan. In support of America’s War on Terror during Operation Iraqi Freedom and Operation Enduring Freedom, SGT Derr, US Army 1st Division, completed over 500 combat missions. Colton succumbed to suicide within six weeks of arriving stateside from his Afghanistan deployment. Colton was a Warrior….which gave him the resolve to take his own life. Think about, since we lost Colton - another 32,120 veterans have fallen. Colton didn't lose many battles - he was a very determined young man. Colton’s soldiers nicknamed him “Delta Derr.” Oh yes, he had GRIT. This toughness however proved to be his achilles heel. The one enemy he strived to defeat (PTSD) finally wore him down to the point he tapped out. Once Colton decided he was going to take his life, there was no turning back - he was resolute. Colton was going to kill the demons who would give him no peace. Colton didn't want to die, he wanted peace, he wanted the pain to end. I knew Colton’s battles, I knew Colton’s demons. I prayed and we prayed together as a family for his pain to cease. Knowing we had to take this head on, Colton sought treatment within his military resources. Colton was flagged as non-deployable (he sought help) before his final mission. This was a hard decision for Colton as he didn’t want to do anything that may jeopardize his military career. He was a proud man, a self-sufficient man, a brother others went to for counsel. His outreach efforts failed. His military leadership marked him mission essential and actually wrote, “we will monitor soldier in theater.” That did not happen. We don't blame anyone. We are proud of our son's service to his country. I spoke to a mother the other day who was concerned about her veteran son. She said her son is no longer interested in his family, friends or his lifestyle as a civilian. He is withdrawn and they are afraid he will take his life. What are they doing….never leaving him alone. That is not a plan. The family of Sergeant Colton Levi Derr formed this non-profit Foundation in his name. We honor Colton by helping other veterans and soldiers who battle PTSD and TBI. TAKE ACTION - REACH OUT - FIGHT. America’s son has come home again.